Description: Gorgeous granite in kitchen and all baths! 18x18 tile floors thru out downstairs! Awesome covered patio in private backyard with great landscaping! 3 living areas! 2 dining areas plus huge center island with seating in very open kitchen! 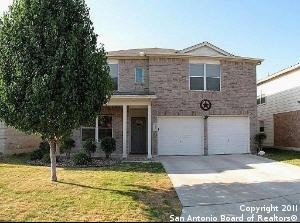 Huge master retreat with his & her walk in closets, deep garden tub, walk in shower & granite counters! Top of the line fans & light fixtures! Pretty chandlier in formal dining! Water softener! Full sprinkler system! Great utility and pantry storage! Immcaulate!